anarchy is the revolutionary idea that no one is more qualified than you are to decide what your life will be! veganarchist . no milk. no meat . no masters . 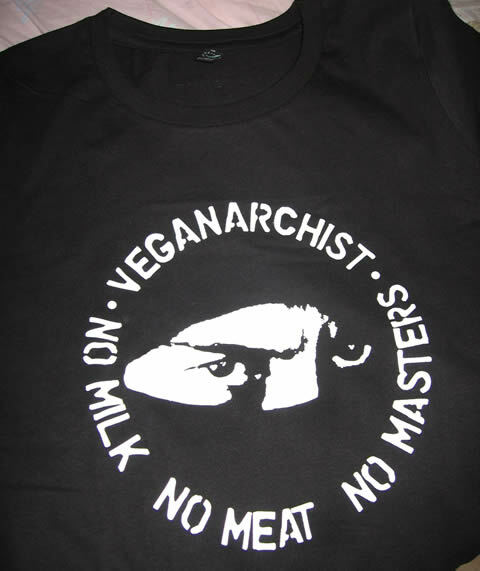 This entry was posted in blog and tagged anarchy, veganism on October 4, 2009 by junimond. three primary life forces exist on this planet: nature. animals. and human kind. we are the earthlings. an impressive film about us earthlings & “speciesism”. This entry was posted in blog and tagged ethics, nature, veganism on December 1, 2008 by junimond.